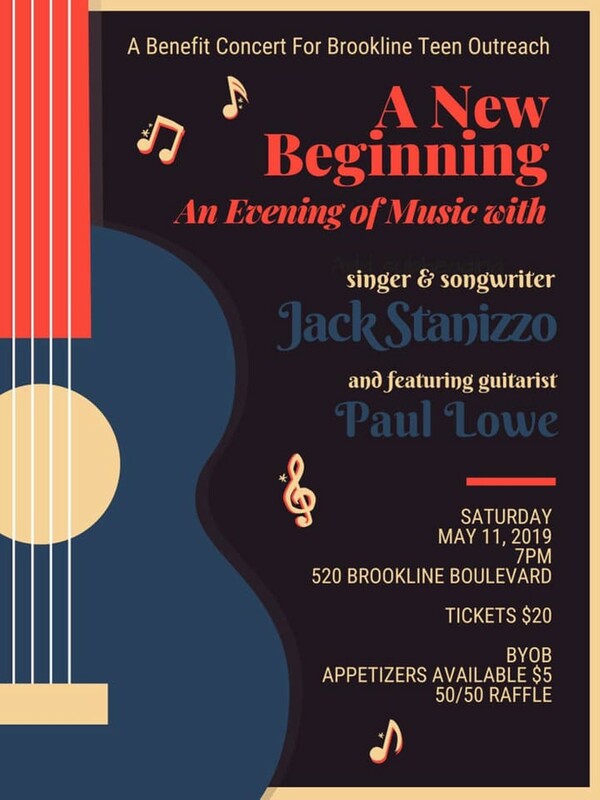 When: Sat., May 11, 7-10 p.m.
Join Brookline Teen Outreach for an evening of music featuring singer & songwriter Jack Stanizzo, of the Hit Band, The Contrails, with guitarist Paul Lowe. 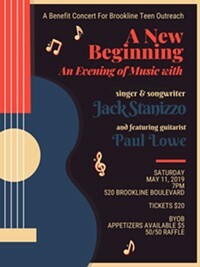 Tickets are $20 and include admission to this BYOB event. $5 appetizer plates will be available for purchase. All proceeds for the evening including the 50/50 drawing will benefit BTO. Doors open at 6:45 PM.